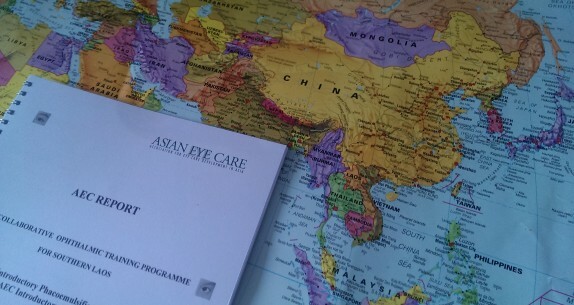 Welcome to AEC, a Dutch medical organization founded on 19 July 1999 in Amstelveen, the Netherlands, with the objective of preventing and treating blindness in Asia. 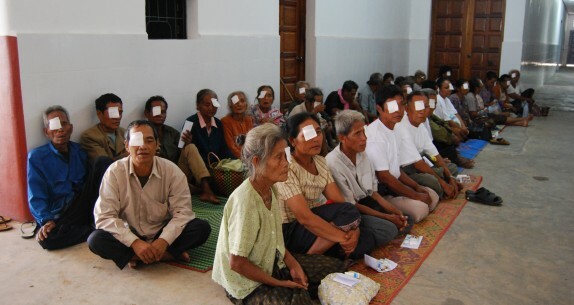 In many, often poverty-stricken Asian countries, blindness leads to a humanitarian as well as socio-economic catastrophy: it is estimated that at this moment, Asia has about 16 million blind persons, which number will have doubled in 2020. AEC believes, and knows from experience, that controlling blindness through optimum care and education contributes to raise the level of welfare and development of the people. On this website, you can read how you can help us in our struggle against this problem. 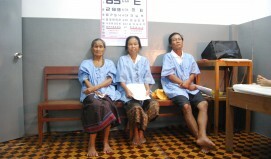 AEC deploys Dutch medical teams: ophthalmologists, surgery assistants and coordinators. During three-week missions, they visit local hospitals in order to provide intensive ophthalmic training to their 'own' doctors and nurses. In close collaboration, eye care is provided in outpatient departments and as many blind patients as possible are operated directly. The expertise and skills of team members must meet high standards. However, physical and mental aspects are also taken into account during selection and deployment. The working conditions are heavy due to a high working pressure in an often hot, humid climate. According to estimations by the World Health Organization (WHO), there are 45 million blind people worldwide, about 16 million of whom live in Asia. It is feared that these numbers will have doubled already in 2020. Paradoxically, eighty per cent of all blind persons would be able to see, work and maintain their families again after a relatively simple operation. As it is, the usually poverty-stricken countries have neither the medical knowledge, nor the facilities and the money for such operations. With VISION2020, the Right to Sight, the WHO appeals to the world for help. 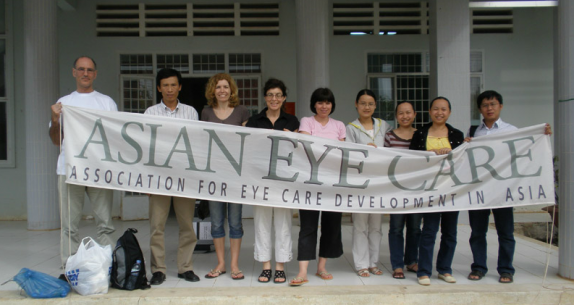 Asian Eye Care supports this initiative by deploying ophthalmic teams and giving training and instruments to local hospitals. Young children also have our attention as an important risk group. 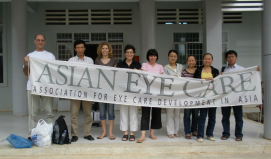 In many cases, childhood blindness can even be prevented through proper nutrition and in particular vitamin A.
Asian Eye Care is an association founded in Amstelveen, the Netherlands, on 19 July 1999. 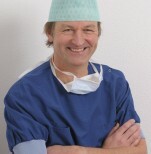 Tom Bakx, MD, PhD, member. Regional Office, Bangkok, Thailand: Ms Lalitha Houtman Srinivas. On 1 January 2008, AEC was certified with the Dutch Tax Authorities as an Institution for General Benefit (algemeen nut beogende instelling or ANBI). 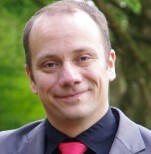 AEC is registered with the Chamber of Commerce Amsterdam (Reg.No. 34 11 8390). AEC Annual reports will be sent by our association upon request. Blindness is not something absolute, but a matter of medical definition. Generally, someone is said to be blind if he or she is unable to count a number of raised fingers correctly from a distance of three meters. 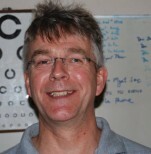 Someone's vision is measured more accurately through the well-known letter maps and a number of advanced instruments. Why does AEC work in Asia? We work in Asia primarily because half the world's population lives in that continent, and the number of blind persons there is proportionately high. Moreover, most AEC staff have lived and worked in Asia. Consequently, we have much expertise, experience and contacts in ophthalmology in Asia. 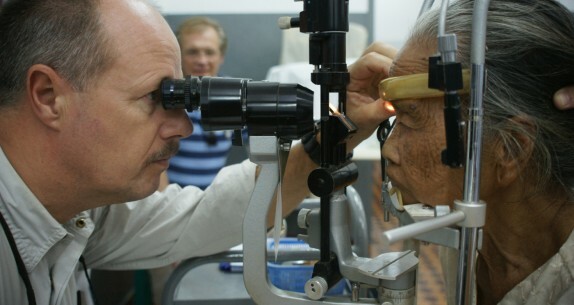 What is the major cause of blindness in Asia? About 60% of all blindness is caused by cataract. Problems arise by the gradual clouding of the eye lens. Probably, nutrition and ultraviolet light also play a part. Cataract is cured by surgery, which involves replacing the clouded lens by an artificial lens. 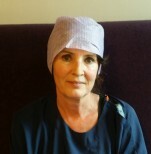 AEC collaborates with various international organizations, Dutch embassies and consulates, as well as authorities and hospitals in the program countries. Provides financial support to AEC programs. 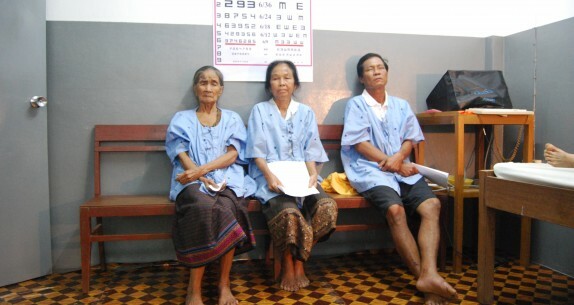 Donates a share of the eye lenses for surgery. Supports AEC in on-site logistics and communication. 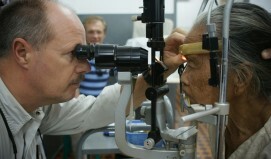 International Agency for the Prevention of Blindness (IAPB) and its Council of Members (www.iapb.org) As Full Member AEC directly collaborates with the World Health Organization WHO at Geneva. VISION2020, the Right to Sight. 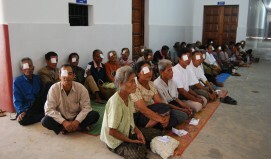 All AEC programs are set up and conducted according to the guidelines of the WHO action plan 'VISION 2020, the Right to Sight' (www.vision2020.org).